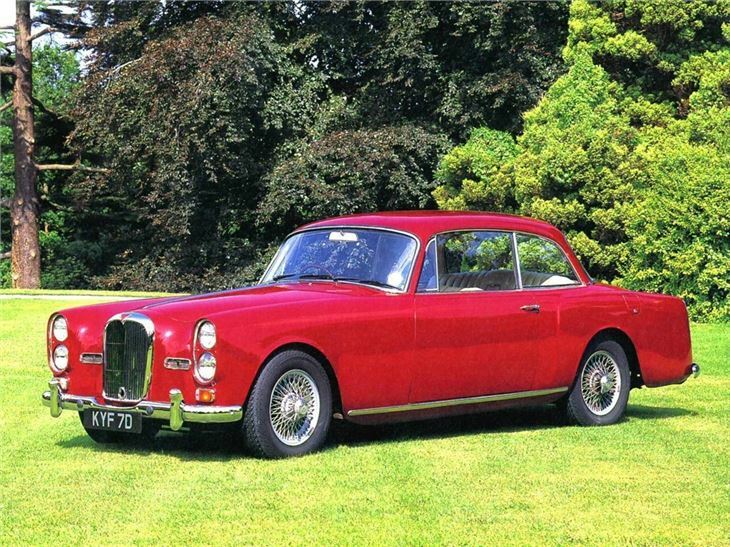 The Alvis TE21 was the end of the line, and what a great swansong it was. 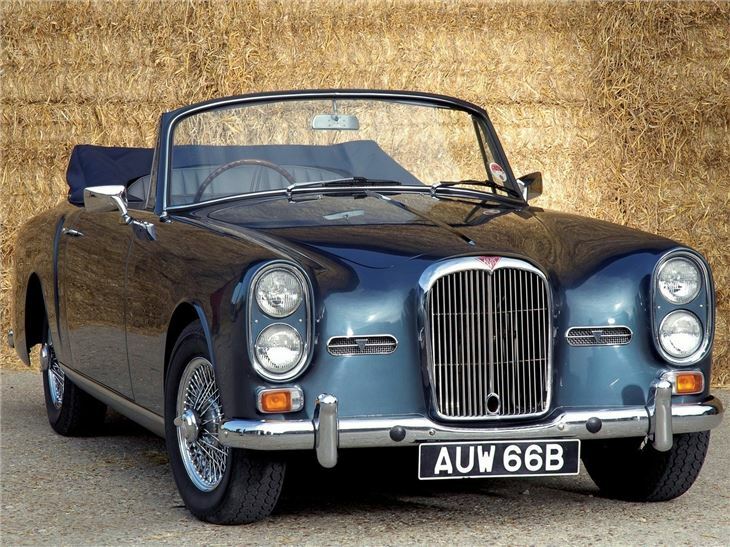 The styling of the TE21 was a gentle evolution of the Graber scheme debuted on the TD21, while the TE21 ended up with its characteristic stacked-headlights, which managed to make it look very fashionable indeed. The TE also gained a new cylinder head that lifted its power output to 130bhp. 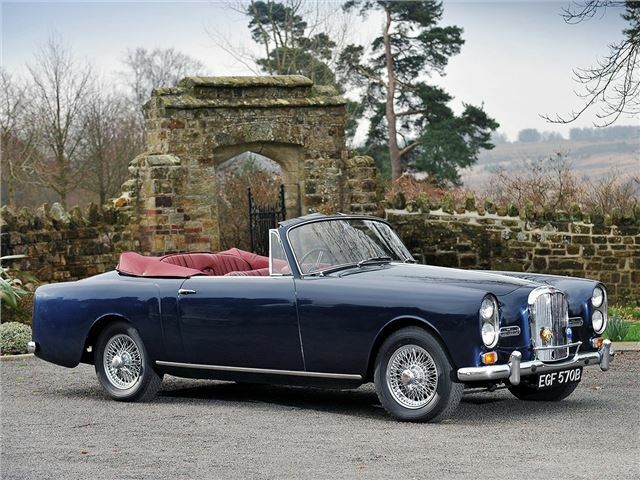 Both saloon and drophead were available, and it’s the latter that's the most in demand today. 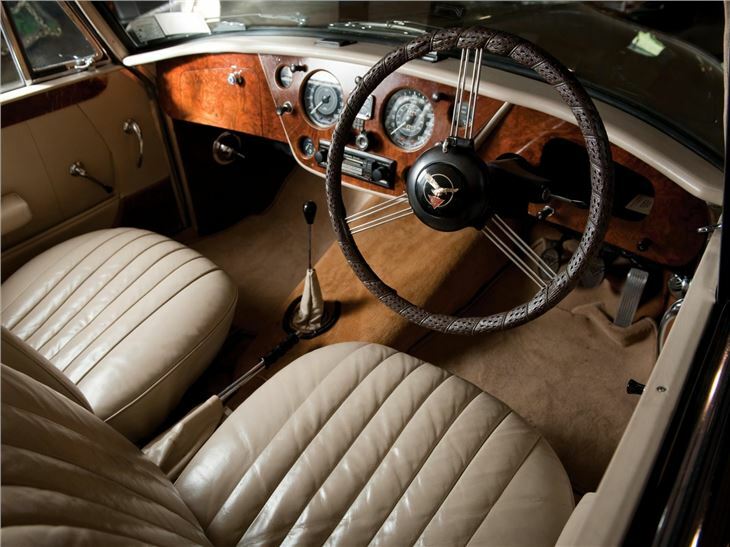 Power steering became a desirable option from 1965, but Alvis saved the best for last. 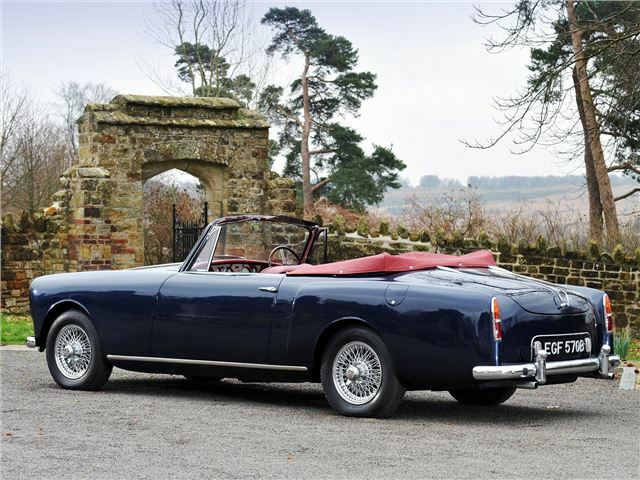 Just 106 TFs were built, but they come with a triple-carb 150bhp engine, improved gearbox and uprated suspension. 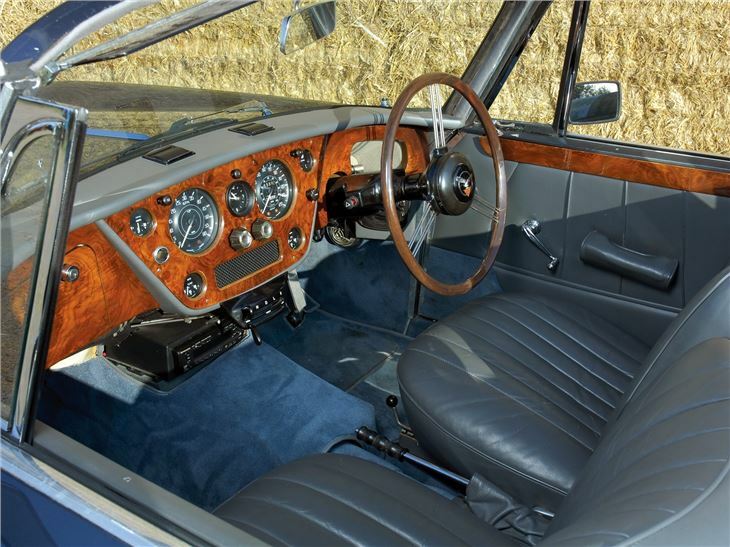 Rover bought the car company, and planned to build a P6-based replacement, but it never saw the light of day - and from 1967 Alvis ended up concentrating on armoured vehicles. 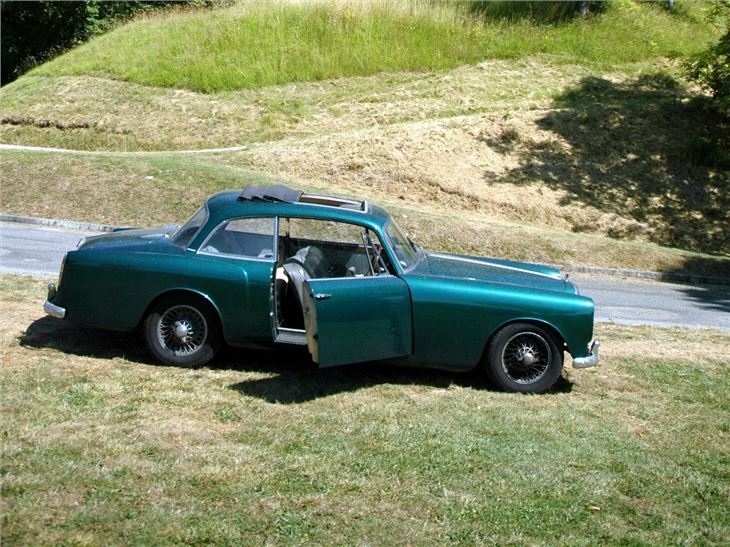 1948 Alvis TA14 DHC (3-position) by Carbodies. 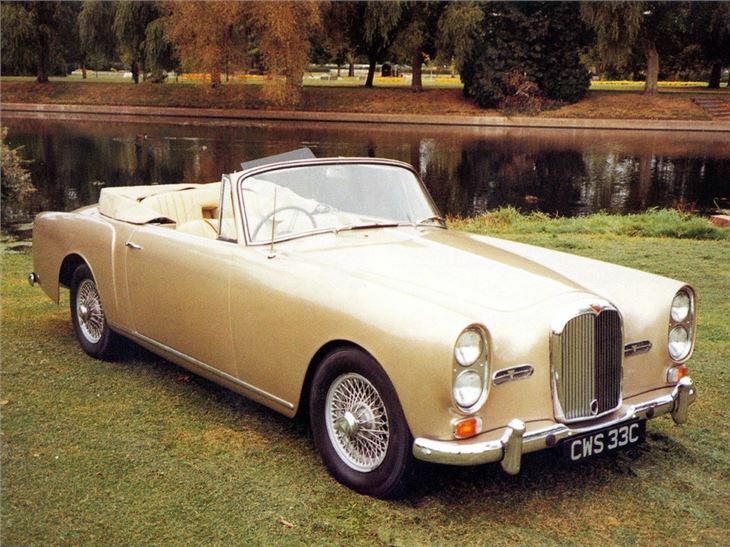 ALVIS TD21 SERIES 11 DROPHEAD / CONVERTIBLE 1963.